There is a growing fashion amongst South African Christians towards the observance of Jewish practices and customs. The trend is imported, I suspect, largely from the US via that most trusted apostle, YouTube. The observance of the festivals is normally part of a package that includes sympathetic zeal for the nation-state of Israel, and the charge that most other Christians are not paying enough attention to the Old Testament. When we ask the incredulous ‘why?’, the answer is often along the lines that all this is necessary to the deepening of our faith. The argument can get fairly heated and fairly complicated on both sides. I hope to add precisely no heat, and perhaps just a little light. There is nothing novel in what I offer here. These are merely some reflections inspired by a week of lectures on the book of Hebrews with DA Carson. It goes without saying that in what follows much of the insight is his, while any error or misrepresentation is my own. To Hebrews then. If Hebrews has a key word, this is it: “better”. That particular word and the associated concept run right through the book. Jesus is better than the prophets (Heb 1.1-4), He is better than the angels (Heb 2), better than Moses (Heb 3), better than Aaron, Levi and Melchizedek (Heb 7). He is a better Prophet, a better Priest, and a better King. Jesus offers a better rest (Heb 4), a better hope (Heb 7.19), a better ministry (Heb 8.6), a better sacrifice (Heb 9.23) with better blood (Heb 12.24), and therefore he is the mediator of a better covenant enacted on better promises (Heb 8.6). Stated negatively, the Old Mosaic Covenant is a mere copy, shadow, symbol and type of the present reality (Heb 8.5, 9.9, 10.1). It is weak, useless, obsolete and passing away (Heb 7.19, 8.13). New Covenant believers have a better possession, a better land, and resurrection to a better life in a better kingdom (Heb 10.34, 11.16, 11.35, 12.18-29). Jesus is better. In what sense could we possibly read Hebrews as an invitation to go back to Old Covenant Jewish beliefs and practices? The rhetorical force of all this better language is “best”. Jesus is best – he is sufficient, he is the goal, he is perfect. If there is any rival to “better” as the pre-eminent concept in Hebrews, it might be “perfect”. Jesus is the pioneer and perfecter of our salvation (Heb 2.10, 5.9). Jesus is the pioneer and perfecter of our faith (Heb 12.2). Jesus offers perfect access (Heb 9.11), through a perfect sacrifice (Heb 10.14) and so he offers the perfect salvation that brings the ages to perfection (Heb 7.25, 9.26). By way of contrast, the Levitical priesthood and the Law “made nothing perfect” (Heb 7.11, 7.19). The Mosaic Covenant is “completely unable… to perfect those who come to worship”. Again, we must ask, on what reading of Hebrews is the New Covenant believer encouraged or even permitted to supplement perfection with the imperfection of Old Covenant beliefs and practices? In fact, the book itself is a lot stronger than I have been. In Hebrews the basic exhortation to trust in the superiority and perfection of Christ is appended with strong warnings. Hebrews is famous for its warnings. The warnings are unanimous in cautioning against abandoning our exclusive confidence in Jesus (Heb 2.1-4, 3.7-18, 6.4-8, 10.26-31, 12.25-29). Given that the overall force and direction of the argument is for a transfer of trust from the Old Covenant to the New Covenant, the warnings must apply to anyone moving in the opposite direction. Moreover, the consequences of ignoring these warnings are severe. If we do so, all we can expect is a consuming “fury of fire” (Heb 10.27). If we are taking Hebrews seriously, it seems impossible to me that the Church can treat the Old Covenant and present-day Israel as some sort of supplement to Jesus that will deepen our faith – some adjacent track to the salvation he offers. But if supplement is ruled out, what’s left? Replacement? 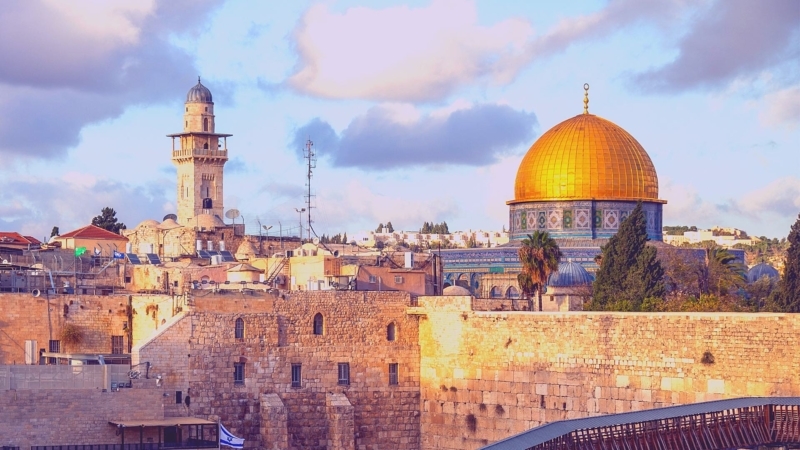 Does the Church replace Israel? The book of Hebrews itself rules out a strict doctrine of replacement in at least three ways. First, the writer treats the Old Covenant writings as “living and active” (Heb 4.12). We know from church history (e.g. Marcion) that a strict doctrine of replacement would dismiss them as irrelevant, or worse. We see quite the opposite in Hebrews. A second and closely related point, is that the writer to the Hebrews appeals to Old Covenant promises to make his case for the New Covenant. It is the Old Covenant itself that reveals its own obsolescence, and calls for something New (Heb 4, 7, 8). Thus the New Covenant can only be properly understood in light of the Old. The two hold together. Third, we are one with the Old Covenant people of faith. They are the “great cloud of witnesses” urging us to persevere in the faith (Heb 12.1). Indeed, though they only knew him from a distance, in Christ “they are made perfect together with us” (Heb 11.40). In light of all this continuity, strict replacement is off the table. How then do we understand the simultaneous discontinuity and continuity between the Old and the New, between Israel and the Church, that seem to happily live side by side in Hebrews? The word “perfect” helps us. The Greek word, especially in the context of Hebrews, carries connotations of completeness, maturity, something having reached its goal. This is precisely what Jesus does for Israel and the Old Covenant. “Fulfilment” is a good biblical word to describe it. Jesus fulfils what was required under the Old Covenant and brings its promises to fruition. The church is the fulfilment of Israel – Israel brought to completion, to its goal. In the church Jews and Gentiles look as one man to Jesus, the pioneer and perfecter of our common faith. What does all this mean in light of 21st century gentile Christians turning to Jewish practices? Let’s begin with what we can affirm and even embrace in the renewed appetite for Jewishness. Anti-Semitism is a non-starter. Our Lord was a Jew. Because he was a Jew, born under the Law, every Christian can benefit from a deeper understanding and appreciation of the Old Testament. That much we learn from Hebrews. To understand Jesus and his New Covenant, we must understand that it emerged out of the Old. More than that, every Christian is compelled by love to love and value Jewish people as our forebears in the faith. We should certainly allow and even encourage a missionary desire to immerse oneself in Jewish culture for the sake of winning Jewish people to Christ. What we cannot allow is the idea that a faith in Christ can be profitably supplemented with Jewish Old Covenant practices and beliefs. That we must oppose with the same intensity brought by the warning passages in Hebrews. To give this Jesus + Passover idea any quarter, is to deny the whole thrust of the letter, and in the end, to flirt with judgement. In our postmodern world, we are often suspicious of the oppressive authority of tradition. Perhaps we should be just as wary of the enslaving allure of fashion. We can be entangled by either. Instead, we should remember that in these last days God has spoken by his Son. He is better. He is perfect.